Time for another Succotash "halfisode", one of those short, off-the-cuff, podcast installments that I spew into my digital recorder while plying the "Kessel Run". (That's my nickname for the 5+ hour jaunt on Interstate 5 between San Francisco and Los Angeles. The occasion is the 3rd Annual Los Angeles Podcast Festival, taking place this Friday through Sunday, Sept. 26-28. Haven't missed one yet. I'm writing this accompanying blog on Friday morning, after successfully navigating my way to Big Smoggy. I took a half-day off of work so that I could make the drive in plenty of time to not only make the Podfest but also to drop in on the Chillpak Hollywood Hour "partycast" that was going on at the Bottle Rock in downtown LA last night. Which I did, as evidenced by my photo of hosts Phil Leirness and Dean Hagland that appears below. During this particular halfisode, I finally give out with some details on the upcoming format changes in store for future episodes of Succotash, the Comedy Podcast Podcast. My idea - in an attempt to move to a more easily consumable format - is to split the show up a bit. By that, I mean that each episode will be either primarily comedy podcast clips or an interview. And you'll be able to tell which is which by the title, because the former will be under the banner of Succotash Clips, while the latter will be called Succotash Chats. The reasons for making this move in "Season 2" of the show - these changes will transpire beginning with Epi101 - are several. One is that episodes are getting very long. Lately our shows have been coming in at between 90 and 120 minutes. So they're getting increasingly more difficult to produce and taking more and more time. Another reason is that I's like to make a bit more of a consistent product, by aiming for 30 minute shows for the Clips editions, and no more than an hour for the Chats versions. As I mention in this epi, no one ever says much about the show's format as it is but, if you either support or object to the planned changes, feel free to reach out and let me know. You can call the Succotash Hotline, at (818) 921-7212. Or email me at marc@SuccotashShow.com. Or just tweet your comments to @SuccotashShow. Also during this episode, we had a surprise guest drop in via cell phone! Out of the blue, friend of the show Rick Overton, brilliant comedian and the host of podcasting's Overview, happened to call while I was recording. So I just left the call in. BTW, the quality of the show is a bit sketchy. Recording in Studio F while it's moving is always a little difficult. I filtered a lot of the road noise out but it's still a less-than-optimum production. Still, it's only about 20 minutes long, so you can certainly muddle through that much. I did. If you're going to be the LA Podfest this weekend, you can track me down in the Podcast Lab or you can also message or call me through the Succotash Hotline number (see above) - I'll have it on live this weekend rather than voicemail. Just four more shows after this one and we hit Epi100, the last show of the first season of Succotash, the Comedy Podcast Podcast. I’ve also been talking with our Associate Producer Tyson Saner– or messaging him, more precisely, about a couple of format changes that Succotash is in for in the second season of the show. I’ll tell you more about that soon. Nothing major in terms of what you hear, just going to tighten up the struts on this rust heap a little bit and see if we can’t keep it flying a little longer. We only have a few comedy podcast clips to share with you this episode because the main attraction is my interview with comic–magician The Amazing Johnathan. He recently announced his retirement from performing live on stage and we find out during the interview. He's had an interesting career, starting out trying to do stage magic in Michigan, then street magic in San Francisco, before finding his unique "punk magician" spin on an act that has always been more about the laughs than the magic. Johnathan talks about those early days on the street - competing for sidewalk space with the likes of Harry Anderson and A. Whitney Brown. We also find out how a bet he made with a friend ended up keeping off Late Night with David Letterman for years after he made his debut. And once upon a time I was the head writer on a short-lived game show called Ruckus for Merv Griffin. Johnathan was the host and we talk about some of that craziness, too. As much as I kind of get a kick out of this feature, we may need to trim some fat if we move to a shorter show in a few episodes so this could be on the chopping block. Do YOU like the 10 Most Active? Enough to keep it in the show? Call into the Succotash Hotline – (818) 921-7212 – and let me know. We have a fresh Burst O' Durst with our resident crankpot, comedian and social commentator Will Durst, who's talking about the new iPhone 6. This episode is sponsored by Henderson's Peer Sucker Pants. And we've got a few things to talk about in the Tweetsack. 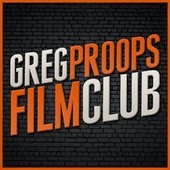 This past week I reviewed Greg Proops’ OTHER podcast for the This Week In Comedy Podcasts column on Splitsider.com, then I shaved it off and put it up on Huffington Post, just for good measure. So I’m not talking about his The Smartest Man In The World podcast. This is his Greg Proops Film Club. It’s a once-a-month movie screening of something that Greg likes – and the most recent one film was The Man Who Would Be King, starring Sean Connery and Michael Caine at their most dashing but, in the segment we’re about to listen to, Proops goes off on a tangent about spending teenage nights at the local drive-in movie theater. 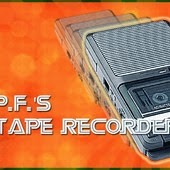 We recently got hit up to revisit the P.F.’s Tape Recorder podcast, hosted by P.F. Wilson and to check out a recent episode featuring the Sklar Brothers – very funny comedians and hosts of the Sklarboro Country and Sklarboro County podcasts. P.F. wanted us to pay particularly close attention to his It’s Facebook NOT Factbook part of that epi, so that's what we do. 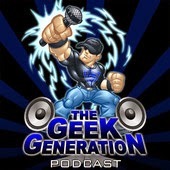 I saw on the Independent Podcaster Association page on Facebook that The Geek Generation podcast hit its 200th episode. Congrats to host Rob Logan and his co-host Mike Volpe. These guys love talking about movies, TV shows, video games…pretty much anything their audience enjoys geeking out over. Our snippet is from their big Epi 200 where they get into…Oreos. I'll kick off my Southland visit by dropping into the big "partycast" being thrown by Chillpak Hollywood Hour hosts Dean Haglund and Phil Leirness Thursday night. So I may toss a Succotash "halfisode" up online between now and Epi96. Welcome to Epi94 of Succotash, the Comedy Podcast Podcast. This is the podcast where we feature clips of other comedy podcasts to help you to try and sort through the, literally, thousands of comedy podcasts you could be listening to when you fancy a comedy podcast or two. Since I’m always skimming the podwaves, listening to what’s out there (I also review podcasts as part of This Week in Comedy Podcasts for Splitsider.com and on the Huffington Post as well – I know a number of podcasts have taken time out to mention the tragic death of Robin Williams in the past month. Joan Rivers, too. But Robin in particular seemed to touch a nerve across the board with his passing. I spoke about it a bit last episode. 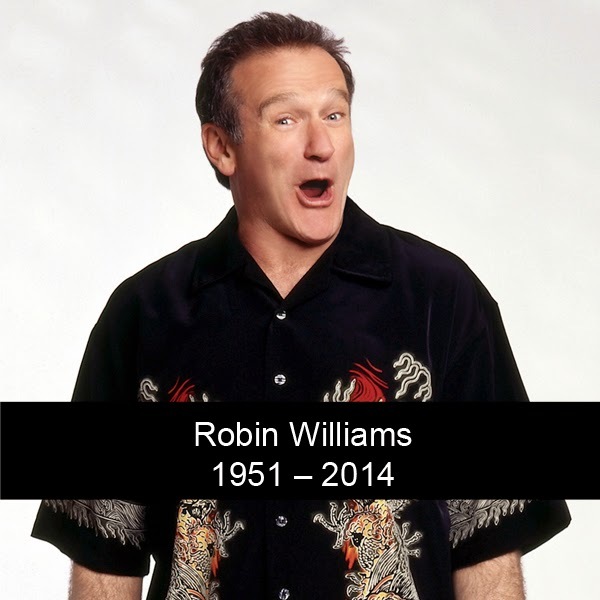 I know theres been a lot of about Robin's life – and his death – since his tragic suicide a month or so ago on August 11th. Maybe you’re tired of hearing about it. I can understand that, but he was a personal acquaintance of mine and a great friend to San Francisco comedy, not to mention a global icon. But if this sort of tribute is too heavy or not you cup of tea, I get it. Feel free to give this episode a pass if you want, but you’re going to miss some great words spoken about a comedian, actor, father, husband and friend who was truly beloved. This past week on Splitsider.com, as part of This Week In Comedy Podcasts, I reviewed The Louie Anderson Podcast Epi5, "Robin Williams: A Friend and Legend Remembered", which was chock full of comedians' remembrances of Robin. That same review appears on the Huffington Post. The documentary film that I've been mentioning on Succotash, entitled 3 Still Standing, is about to make its debut in the fairly prestigious Mill Valley Film Festival! I did a bit of bheind the scenes work, some consulting and even some on camera stuff for this movie, which take a look at the San Francisco comedy scene, from the early 1980s through present day. 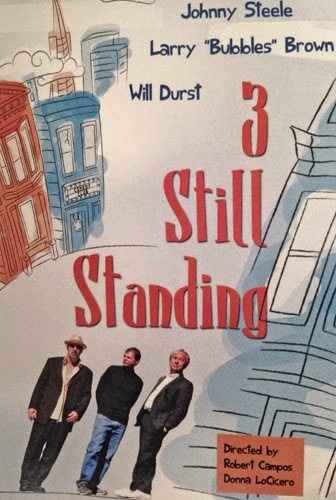 It does by examining the lives and careers of a trio of working comedians: Our own Will Durst, past guest Larry "Bubbles" Brown, and Johnny Steele. We start the clips off with a slice from the top of The Christopher Titus Podcast, the section Chris Titus calls “The Armageddon Update”. This was cut just two days after Robin moved along, and you can hear the emotion in Chris’ voice as he talks about his personal hero. I like that we’re getting a chance to hear from some podcasts we’ve not had a chance to clip so far in the two and a half years that Succotash has been plying the podwaves. The Nick Di Paolo Podcast is one of those. Nick Di Paolo a great comic, a very real guy, and his Epi42 was entitled R.I.P. Robin Williams. Here are some wonderful remembrances from Greg Proops, host of The Smartest Man In The World podcast. I know Greg very well from being in an improv group with him in San Francisco before he got onto Whose Line Is It Anyway. And we’ve both done stage work with Robin, separately and together. This was recorded while Greg was over at the Edinburgh Fringe Festival. We have another tribute from some more of Robin's hometown boys. This was at the end of an episode of Nerd Poker with Brian Posehn & Friends. In this case, Brian Posehn, Blaine Capatch and Ken Daly, along with guest Dave Anthony, talk about their memories of Robin. Everyone chatting here except Ken really got their comedy chops in San Francisco and so crossed paths with Robin a number of times. One of the clips Tyson grabbed is from a podcast by a comedian who’s been in the game longer than Robin by more than half a decade. Tommy Chong, along with his son Paris Chong, hosts The Chong & Chong Show. And we have Tommy giving his perspective on Robin. Here’s a clip from a show we’ve never featured before – Stuck In the 80’s. It’s all 80‘s stuff all the time – movie, TV, music, pop culture – and host Steve Spears and his rotating pool of co-hosts dive into the “Reagan Era” with gusto. Robin Williams is a personality who transcended 40 years of show business and our culture and the 80’s was a big chunk in the middle of that. Dan Harmon, the creator of TV’s Community as well as Adult Swim’s Morty & Jack, is the mayor of Harmontown, a live podcast, aided by his Comptroller Jeff Davis. Harmon and Jeff had a few things to say about Robin recently. Here’s some personal memories of running into Robin by Todd Glass on his The Todd Glass Show podcast, along with his guests Ian Karmel and Rob Gleeson. The last Robin clip we have this episode is from Dennis Miller, who has been doing Miller Time, a daily radio show/podcast, for years now. As a major comedy fixture and trained observer of pop culture and society at large, his is a particularly moving reminiscence of Robin. Thanks to all the hosts and guest of the podcasts we clipped this episode to make this special Rememberin' Robin episode happen. Our next episode we'll be back with an interview with The Amazing Johnathan, as well as clips from more comedy podcasts from around the internet! Until, then, please remember to pass the Succotash! Yes, it’s me, your old – or, perhaps, new – friend, Marc Hershon and I'm your concierge for Epi93 of Succotash, the Comedy Podcast Podcast. First off, let me apologize for the delay in bringing you this episode of the podcast. I have been swamped with both my regular job, which is a full-time, in-the-office, meeting-with-clients, boss-to-answer-to kind of thing, and I have also been doing some writing in my off hours, which is more fun but less profitable. (Several articles coming out for Marin Magazine, the first one in the September issue!) And I’m helping a buddy work on a screenplay long distance, which involves a lot of emails, phone calls and pecking away on a file we keep sending back and forth to each other. Back to Succotash. 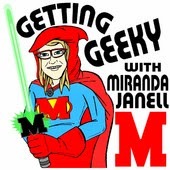 Normally we feature a generous helping of clips from comedy podcasts from around the internet. I’m still sort of coming out of “recovery mode” from the tragic suicide of Robin Williams, so the next couple of episodes are going to be a little different than the usual fare. Although SOME of the usual fare will be in here, too. I do have several clips that have been harvested by our associate producer Tyson Saner. And we’ve got a double dose o’ Durst with TWO Bursts O’ Durst with comedian/social commentator Will Durst, the 10 Most Active Shows in Stitcher’s Top 100 Comedy Podcast List, and a brand new Henderson’s Pants commercial. I’m going to talk a little bit about Robin in this episode mainly because, in my interview with this epi’s special guest, W. Kamau Bell, he and I talk about it toward the end of our time together. 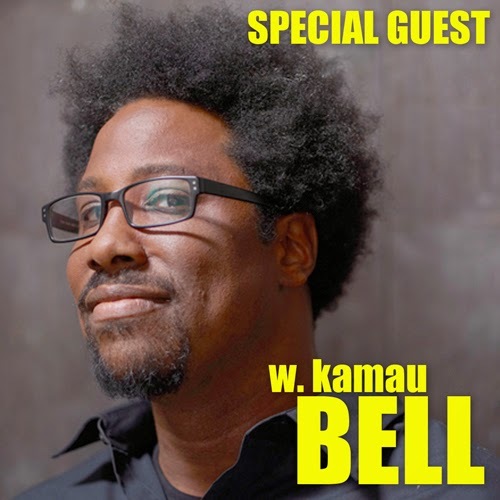 I interviewed Kamau a couple of weeks ago and we had only gotten the news a few days earlier so we kind of had to talk about it. I had cast Kamau in the pilot episode for a web series called SpamBUSTERS! that ended up not happening, along with Dana Eagle and Shane Elliott. Kamau and I discuss the project during our interview but here, for the first time, YOU get to see the rough cut of this "lost" pilot episode. I am planning a special Robin tribute episode, which is likely to be entirely clip-based. Tyson is working hard to round up as many clips as he can find where the podcasters mention and reflect on Robin and who he way, as well as what he meant and brought to people. Related to that, I was texting with our friend, Phil Leirness, co-host of the Chillpak Hollywood Hour, just two days after it happened and he asked me how I was feeling. I told him “Stunned.” He responded on their show this week much as he did to me in text form and I have included that response in this episode. I first saw Robin perform in a little club in Sausalito, just over the Golden Gate Bridge from San Francisco, in 1978. He was a few years ahead of me at the same high school and at the same junior college before he headed off to Julliard. But I never crossed paths with him then. But after I saw him perform the first time, I started hanging out in the comedy scene in San Francisco in the late 70’s and early 80’s and we’d see each every so often. We occasionally even ended up sharing a stage and doing improv together from time to time and he was a fairly regular fixture in my comedy life during the past 30 years. So when he was hanging out back in Marin County again after his CBS TV show got cancelled, he was down. Depressed, I guess. But not dour or morose. At the most, you might suspect he’d start drinking again. Or using coke or some other drugs that he used to be into. But no one that I know that knew him figured on him ending it all. So “stunned”, at least for me, was a viable reaction to carry me through the first week and a half without him being around. Then grief starts to creep in, and sadness, and that horrible, horrible knowledge that I’ll never see him hanging around the scene any more. He’ll never be a surprise who you didn’t even know was in town but somehow found out we were doing improv at some shithole bar somewhere and there he was, bounding up on stage out of the darkness and already in character to help move the scene ahead. But enough of that for now. We deal, as we do, when one of our own has gotten lost and wanders away. And we hope that others around us will take it as a cue to perhaps say something if they can shake the grip of that demon they’re wrestling with long enough to ask for some help. The numbers in the Top 100 Comedy Podcast list on Stitcher have settled down a bit from my last report, but it seems like the Top 10 is finally getting pierced and it’s good to see some action at the top. Since we’re not playing a ton of clips this episode, if you’re looking to sample some new meat, hop over to http://Stitcher.com, dip into the Comedy Top 100 list and find something new to put in your ears. We hop across the Pond for this one, hosted by Gav and Pete. 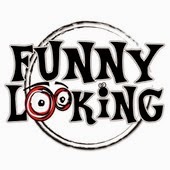 I don’t know a whole lot about the guys behind Funny Looking but, from their homesite I took the following: “Funny Looking is a podcast recorded by two men with some terrible audio equipment. Our aim is to seek out the funny in this slowly decaying world. We all need a laugh and hopefully Funny Looking can guide you to something worth your time. At the very least, our podcast should be able to brighten up the commute to work when you are sandwiched between snogging teenagers and smelly sweaty businessmen.” In this clip, from their Epi14, Gav and Pete talk to Teresa Coyne and Mark Silcox, who were involved in the Machynlleth Comedy Festival. The fact is we actually featured a clip from the very first episode of The Dollop, when Dave Anthony was flying solo and trying something new when Greg Behrendt stepped off the grid for a bit and there were no new Walking The Room episodes going on. 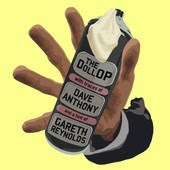 What's changed is that Dave has been joined on The Dollop by Gareth Reynolds. Tyson clipped this from Epi18, where they’re discussing famous French serial imposter Frederic Pierre Bourdin, aka "The Chameleon". This epi clocks in at an hour and forty-five minutes. Some people think these Succotash episodes are getting too long. I prefer to think of us as the podcast that keeps giving. You can remember to give, too, by visiting our Succotash site and either using our Amazon banner every time you want to go shopping in the world’s largest everything store, OR clicking on our Donate button and pitching us some pennines that way, OR click on through from our homesite to our Succotashery to buy some merch. Easy peasy, Succotash squeezy. Now get out there and pass the Succotash!